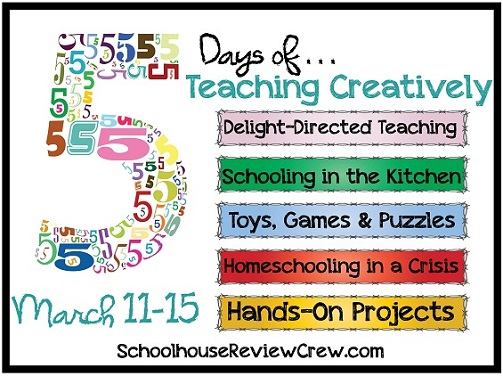 Today I am sharing my thoughts on Delight-Directed Teaching. What is delight-directed learning? Well it is a learning style in which children are in charge of their own learning. The delight-directed method allows child to use their natural curiosity to motivate them. By studying a topic of interest the child will learn all the necessary concepts of reading, reasoning, writing, researching, etc. Delight-directed may sound similar to unschooling but there are several differences the main on being that even though the delight-directed learning is child led it is still parent supervised (where as unschooling is not parent supervised). If you are an avid follower of my blog you know that we definitely fall into the relaxed, delight-directed method. When we first began homeschooling I tried the workbox method and attempted to cover every subject everyday...BIG FAIL. My kids began showing an interest in particular topics like snails, frogs, puppets, weather, dolphins... So we made a switch in January 2012 to delight directed learning and haven't looked back. Here is what makes up delight-directed learning. -it is child initiated, directed, and led. -it is parent supervised and supported. -it involves learning webs...you may start with a particular topic but may soon find yourself immersed in a connected topic. -it is led by interests, spontaneous and unplanned. The strict, rigorous and planned schedule is a thing of the past. -it encourages exploration of hobbies, personal interests and passions. -academic subjects are integrated together rather than segmented (read below for further info on regarding our math and reading). Simply ask your child "what would you be interested in learning about?" My kids normally come up with several things for one month. I make a list and then I help them find the resources they will need to learn about the topics they chose. We utilize everything and anything including books, unit studies, lapbooks, websites, videos, classes, kits, fieldtrips, volunteering, etc. For keeping track of historical events we utilize this fabulous FREE printable timeline. Since neither of my children read or write on their own fully yet we read our books together as a family and also complete unit studies/lapbooks together. Also be sure that your home reflects a delight-directed learning environment. Make sure books, music instruments, art supplies, exploration boxes, creative toys, games, etc are readily available and within your child's reach. This will encourage exploration, creativity and independent learning. How so I keep records of what they are learning? This is often a question that arises when I describe our learning style especially since many states require that records be kept for homeschool children. It took me awhile, but I finally came up with a simple system that is quick and easy (perfect for busy moms). I created a very simple spreadsheet which has spaces on the left for the days of the month in which we homeschooled on. At the top I listed most of the subjects. There is a spot for xtra where I can write/type in health, various therapies, physical education, fieldtrips, etc. Each day I simply make a notation of what we did during our homeschool that day that covered that particular subject and of course I also keep or take photos of their projects, worksheets, lapbooks, unit studies etc. 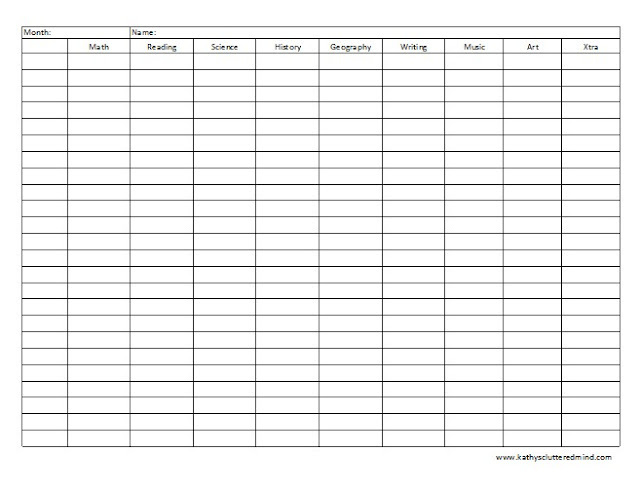 If this spreadsheet sounds like something you could utilize in your homeschool feel free to download a own copy. There are two subjects that we do utilize curriculum's for and that we try to cover everyday, they are math and reading. However there are many instances where these are covered thoroughly in our unit studies/lapbooks so there are some days we may skip our formal curriculum in these areas. For math we currently utilize A+ TutorSoft and Touch Math. For reading we use several (yes several) curriculum's. The reason we use more than one reading curriculum is because I am a reviewer and we get them to review but also because I have noticed that my daughter looses interest in them if we use them for too long. So mixing it up daily or weekly has really been helping her with learning to read. She generally chooses which curriculum she wants to use for reading each day...again part of that whole delight-directed style. We currently use IEW, ABeCeDarian, Alpha-Phonics, Bob Books and other early level readers. -Be sure to check out my post on FREE lapbook and unit study resources. So do you have any questions about delight-directed teaching? I LOVE how you let your kids' delight lead! I'm so jealous of your ability to do it. I'm too much of a schedule person to go as far with it as you do - but I'm learning! Thanks for the great encouragement and insights on how to let it happen more! Oh my, I love this idea of homeschooling method! I'm really, really attracted to the idea of unschooling but I also know that he and I both do much better with, well, not necessarily a rigid schedule, but a general list of tasks to be completed or at least started.